Burger King unveils its "Philly Cheeseburger." So there may not be such a thing as a "Philly Cheeseburger," but we get what Burger King was trying to do here. 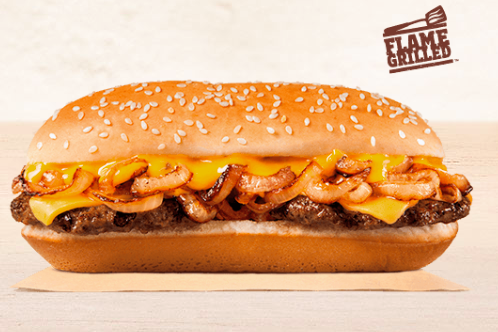 The fast food joint's newly debuted, limited-time "Philly Cheeseburger" is basically a burger modeled after a Philly cheesesteak by putting the burger(s) on a longer roll and smothering it "wit" sautéed onions and melty cheese. The Extra Long Philly Cheeseburger from @BurgerKing is not bad at all. Extra cheesy with sautéd onions makes this a savory burger. PSA: Everybody go try the Extra Long Philly Cheeseburger at Burger King. It's great.